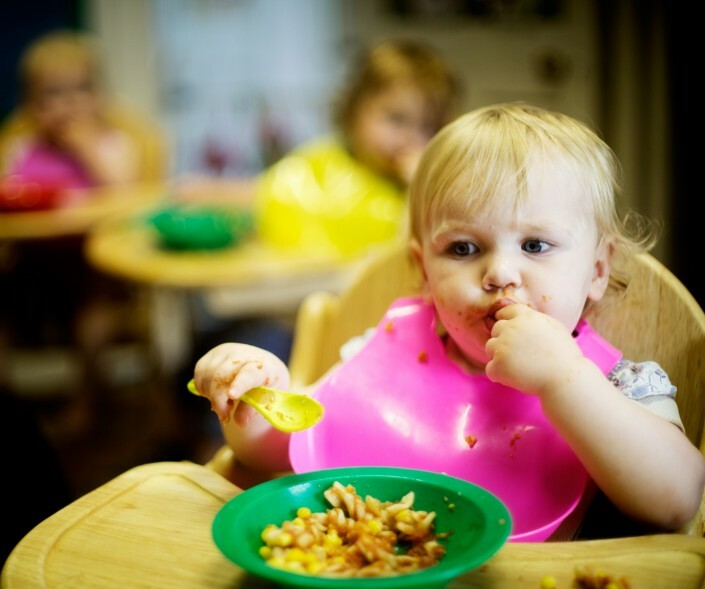 It is well known that in the early years of a child’s development, eating habits are formed for life. At Archfield House Nursery, we will introduce your child to a wide range of fresh and stimulating flavours which will help to establish health eating habits. We believe that meal and snack times should be happy and sociable occasions for children and staff. Positive interactions should be shared at these times. We are fully committed to offering children healthy, nutritious and balanced meals and snacks which meet the individual’s needs and requirements. 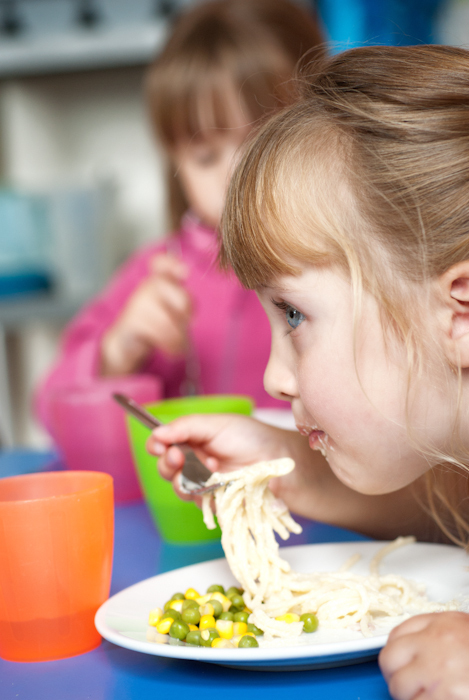 Each day, parents are given information about the food their child has had during the day. Our menu incorporates foods from different cultures including varying flavours and textures. The menus have a basic weekly structure which includes two vegetarian dishes, two meat dishes and a fish dish. A vegetarian option is available daily and fresh fruit and yogurt is available as an alternative to a sweet dessert. Menus are planned in advance, rotated regularly and reflect cultural diversity and variation. All meals are prepared from fresh and healthy ingredients without added salt or sugar. The nursery does not use artificial additives to enhance flavours. We gather information from parents regarding their child’s dietary needs including allergies and where necessary, we work with parents to implement an individual food plan for their child. We pride ourselves in only purchasing organic mince beef and free range chicken, lamb and pork. Children are offered milk and water to drink and are able to access fresh drinking water throughout the day. Our nursery chef has extensive training in the catering trade. He provides a great variety of dishes and seasonal food and monitors the children’s likes and dislikes and adjusts the menus accordingly. Parents are invited to meet with Ben upon request. At parents evenings, Ben prepares some of his homemade meals from the menu for parents to taste and sample.